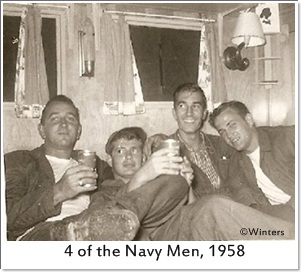 This group of photos was given to us by Sue Dennis Winters. 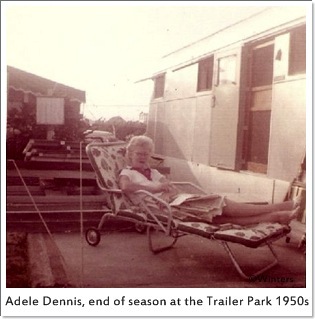 From Sue"My parents had one of the trailers at the "Trailer Park' starting in 1950. 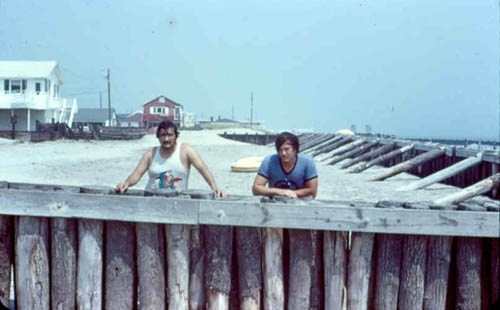 We lived in Clayton NJ, just about an hours ride away and had made many day trips to Strathemre before then. 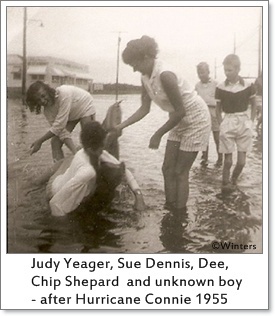 My dad, Frank Dennis loved to fish and my mother, Adele and my sister Sandra and I .......Susan Dennis loved the beach. Our first overnight stay in Strathmere was at the old hotel on the bay. We spent a long week-end with the Barclays, also of Clayton. I remember each of us kids was allowed to bring along a friend so there was lots of kids. 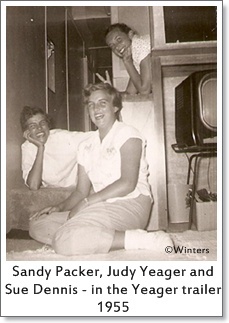 Susanne Barclay Lindner and I have remained very good friends over all these years. 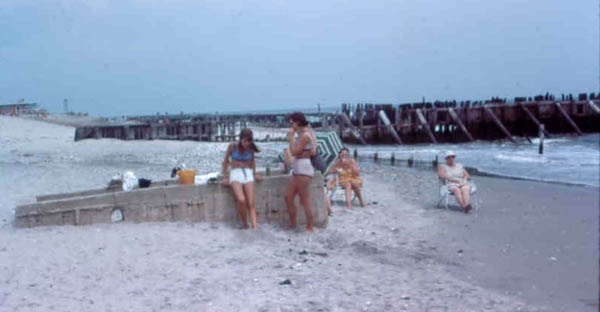 Our first year in Strathmere, my sister worked at the "counter" at Harkers corner, and I was the bus girl. The next year I got a job at Mildred's where Susanne Barclay and I worked with Judy Yeager all through high school and into my college years. 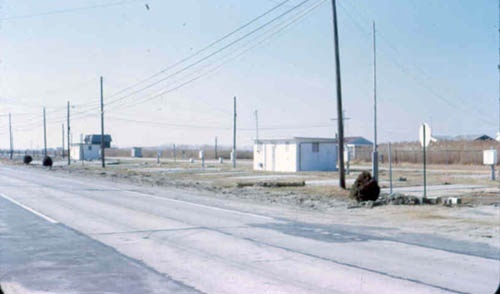 I LOVE STRATHMERE......it is in my blood!! I have taken my children and grandchild there and they all love it too. 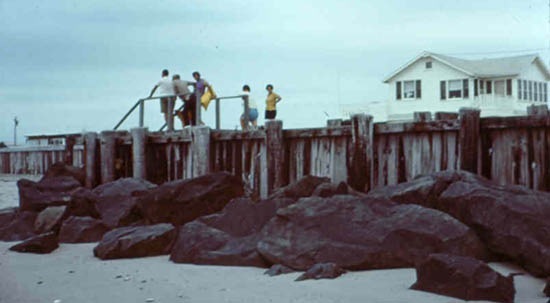 I have many fond memories of Strathmere, even though I worked 8 hours a day....many days were split, so I always go a few hours on the beach everyday. I love the fact the is STILL the same!!! I love the stinky smell of low tide and walking on the big wide beach. My daughter couldn't get over it..... like a step back in time, only different generations of kids living there now." 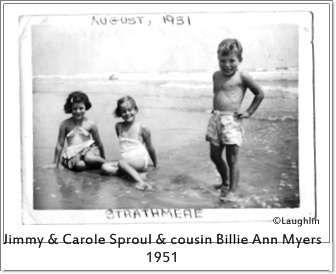 These two pictures were sent by Carole Sproul Laughlin who writes - "I just came accross the Strathmere website and I was remembering the fun vacations I spent there. 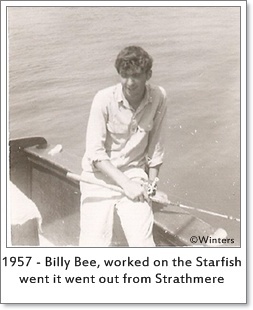 My father was an electrician and had a friend who was building a summer cottage in Strathmere. I do not remember the friend's name but I know he lived in Stratford NJ. 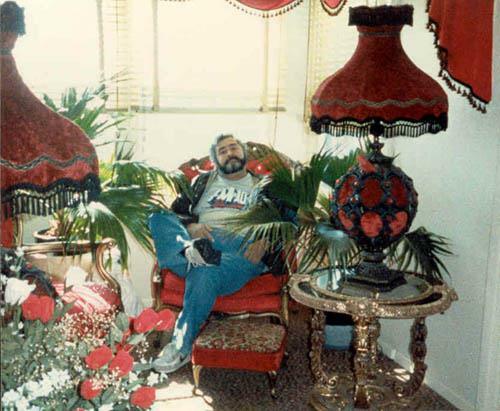 Anyway, my father did the electrical work on his summer home and instead of paying him for the job, we got to use the house for our vacation for a number of years. 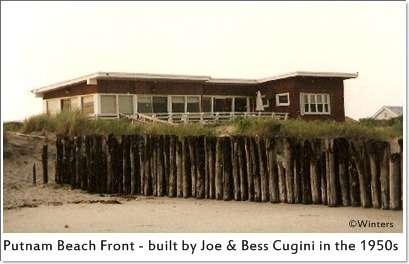 The house was unfinished inside, but paradise to us since we had never gone on a vacation at the seashore. I do not know the name of the street. It was sand and there were other small cottages on the street....mostly new or being worked on. 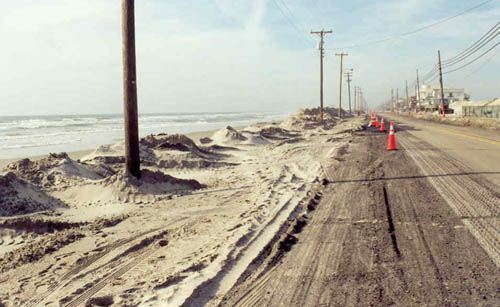 There was one main street you crossed and then onto the beach. I remember the store in one of the pictures....called Harkers Corner but it could have been called something else (then). We spent our time on the beach all day looking for shells and building sand castles. You could find the best shells on that beach! I remember it being very deserted and rural. Attached are a two pictures I found. One is of my brother, Jimmy Sproul, cousin Billie Ann Myers and me...Carole Laughlin. 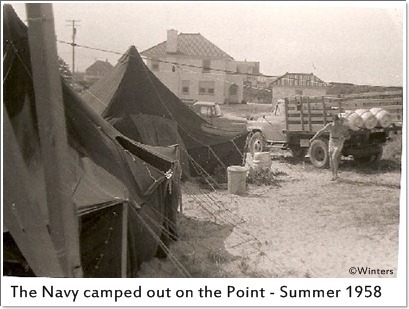 The date on the picture is August 1951. 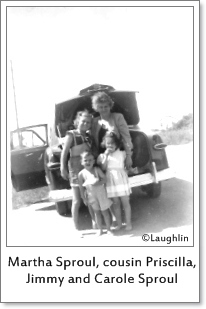 Another picture is of my Mom, Martha Sproul, cousin Priscilla, bro Jimmy and me Carole in front of our first car, A 1950 Ford. We had just arrived for our vacation. This must have been the first year we went since we did not have a car before that year. 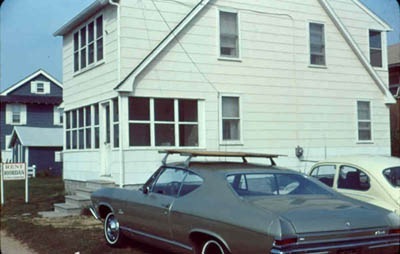 I am going to go to Strathmere this summer and see if the house is still there. I haven't been there for over 55 years." These 10 photos were given to the site by John Motter. 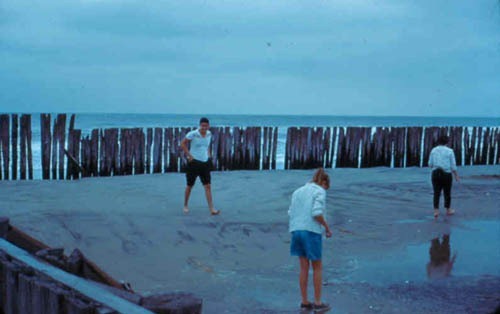 First is a view of the beach at Webster in 1959. Then next are two 1965 views. The middle photo is of the 'Indian Rocks' or what's left of them. They were once on the outside wall of a concrete house that stood on the beach at Sherman. 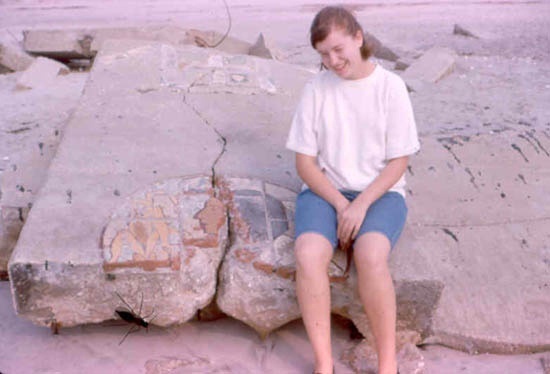 The house collapsed in the hurricane of 1944, and for many years the wall with the Arts and Craft Indian mosaic was a favorite place for kids to play on. Anything that might still remain of them are under sand on the beach. 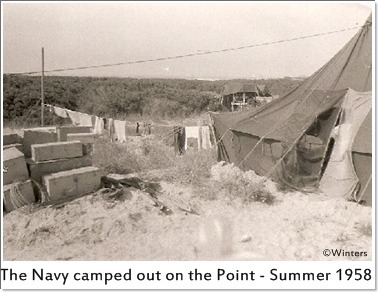 The 2nd photo is a view of the beach in 1965. 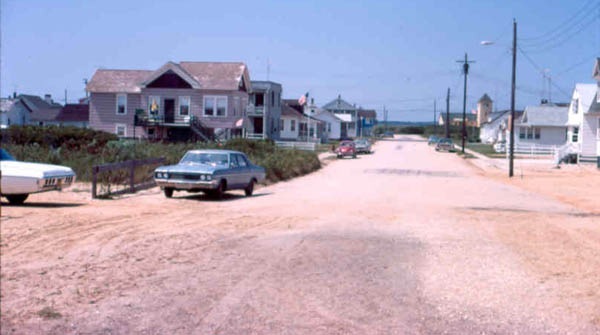 Next is a view of Webster, coming from the beach, looking towards the bay. The 2nd photo is a house that has now been remodeled. 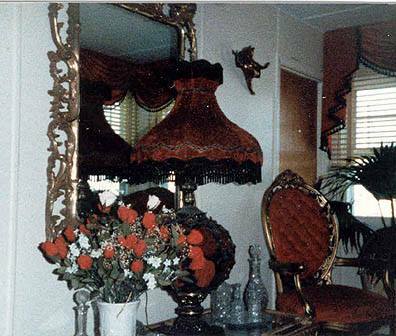 These 2 photos are of the upstairs lounge at the Bayview Motel, taken sometime in the early 1970's. 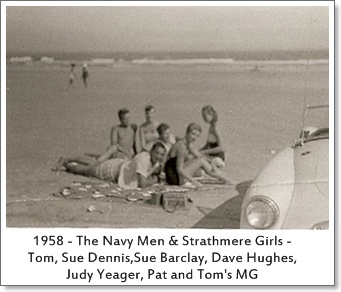 We are looking for vintage images, and histories of homes in Strathmere.